Being part of a pavlova blog hop meant that in order to add something a little different to the mix, creativity was the key. I looked around my kitchen and had heaps of lemons, and thought about making a lemon meringue pie. Then it dawned on me that instead of a pie, I could do an upside-down version and use it as my pavlova entry! Straight lemon curd I felt would be a little overwhelming on the already sweet pavlova base, so I merged the traditional cream with some home made lemon curd to make a tangy creamy topping. To balance against the sweetness, I picked raspberries and blueberries which aren't as sweet as other fruit. I wanted to replicate the pie base texture so I crumbled a little lemon shortbread on the top. 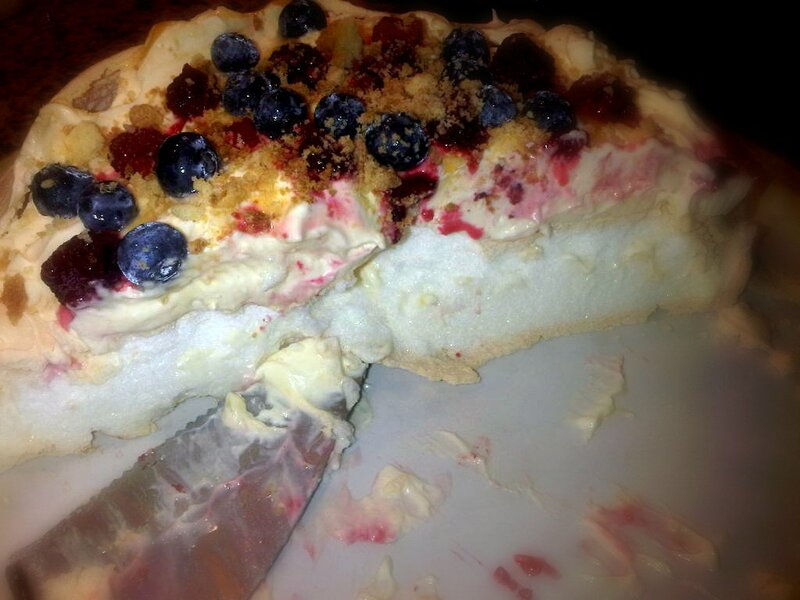 It was a nice addition giving a little extra texture as well as the crisp pavlova shell. The result was an indulgent dessert! Perfect for a summer evening! Leave the pavlova to cool in the oven with the door open for a few hours till the oven is completely cold. Close the door and leave till cool. When thick, pour into a jar and cool completely. this makes 12 fingers - you only need 1 for the pavlova recipe so if you want to drop a step, just use a bought shortbread finger! Crumble 1 small shortbread piece over. That's so funny that you did an upside down lemon meringue pie pavlova because I was actually thinking of doing that!! Great minds think alike!! 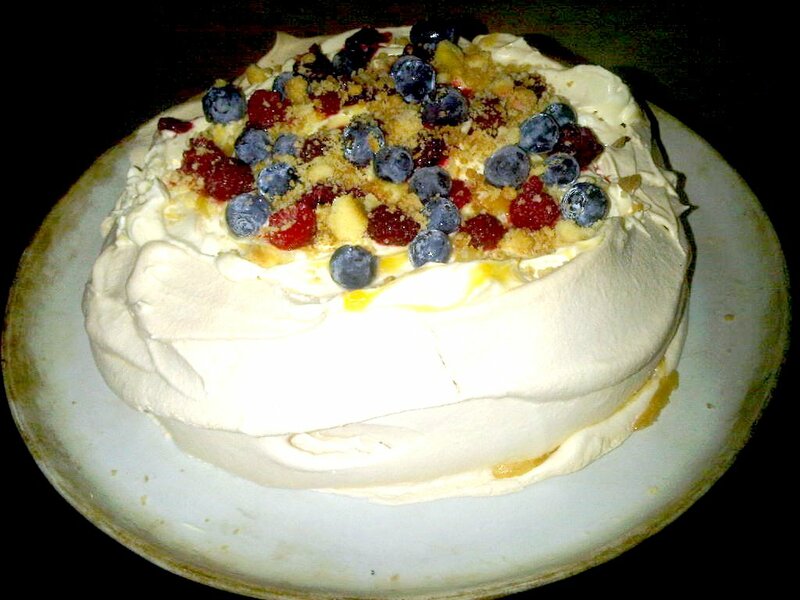 Your pavlova looks amazing...and delicious!! I love the addition of shortbread crumbs - I think it would a lovely textural contrast to the gooeyness and softness of the marshmallow, cream and meringue. There are lots of my favourite flavours here - mmm! I love summer berries and your pavlova looks awesome when you've added all those raspberries and blueberries as well! Michelle, what a lovely idea and that pavlova looks stunning! Please pass me a dessertspoon! Hi Michelle, I just wanted to eat it after seeing the shot of the half chomped finished product! Yum. Shortbread crumbs sound so yummy! Love this idea. 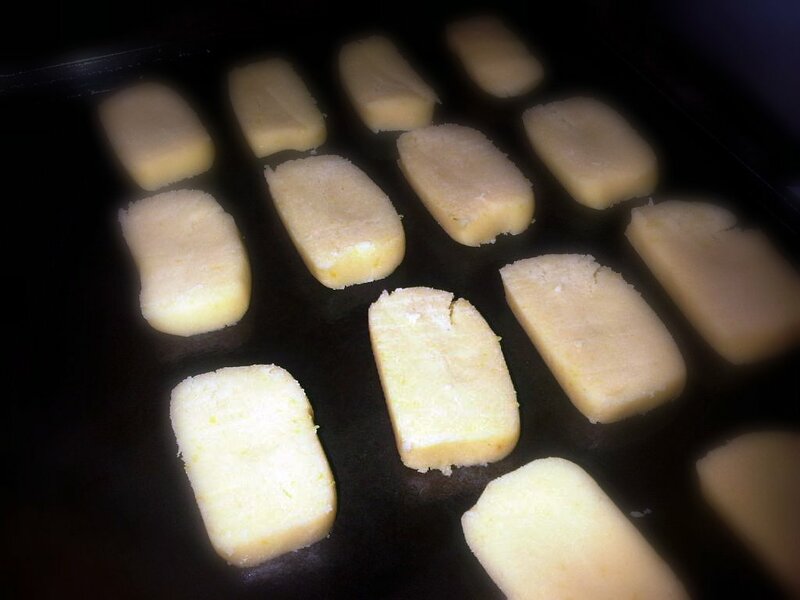 Ohhhh shortbread is such a weakness of mine haha! Looks great! Love the combination and the addition of the shortbread. Great to make use of all the egg yolks! What a gorgeous idea. I adore lemon curd and am very happy to find more ways to eat it! What a fabulous idea!! So creative. 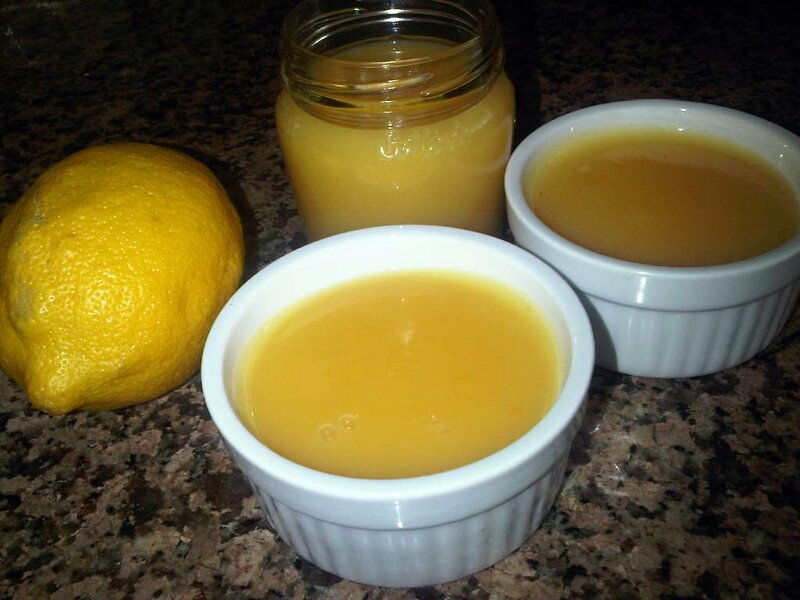 I love love love lemon curd so this sounds right up my alley! Love this idea (probably because I love Lemon Meringue - how convenient!) V-impressive that you made the shortbread too - nice one.